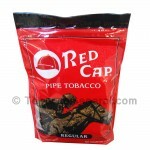 Red Cap pipe tobacco provides the smoker with a trace of splendid Cavendish tobacco that allows for the rich taste and flavorful aroma. Consisting of mild to medium strength, the very mild flavor of this Red Cap pipe tobacco product brings nothing but joy at a low cost. Tobacco General sells flavors such as No. 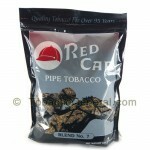 7 and regular in its division for Red Cap pipe tobacco sales. 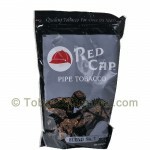 Tobacco General offers great prices on this Red Cap pipe tobacco. Buy now! With a tradition that dates back over 95 years. 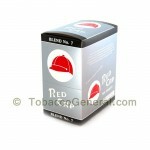 Red Cap Tobacco is a winning blend of aromatic Virginia, Burley and other premium air-cured tobaccos. Our regular tobacco has an original taste. With a tradition that dates back over 95 years. 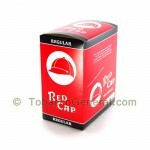 Red Cap Tobacco is a winning blend of aromatic Virginia, Burley and other premium air-cured tobaccos. Our special Blend No. 7 also includes a hint of rich Cavendish tobacco for a truly unique and flavorful smoking experience.